Keeping up with CAD/CAM software can be a challenge, as publishers in this sector are constantly releasing new fixes, apps and even entirely new versions of what has just become a familiar and comfortable program. Shop owners often physically squirm when they learn of updates because they’re never sure if this will be the one that crashes the whole system or takes away their favorite features and tools. Thankfully, most updates are helpful and some are gifts from the gods. Here’s a good example of the latter. Vero Software (verosoftware.com) recently launched a powerful new direct modeling system called Designer to fill the gap between CAD and CAM, and focus on the specific needs of machine programmers. As a stand-alone, optional application for its CAM portfolio, Designer lets users create new designs or modify existing geometry from third-party CAD systems. It also gives Vero users the flexibility of receiving a CAD file from any source, for review or modification. Vero’s John Buehler believes that Designer represents a framework that will become the core modeling engine for all CAM applications. Vero also publishes Cabinet Vision (cabinetvision.com), the latest version of which includes a powerful new photo rendering engine. 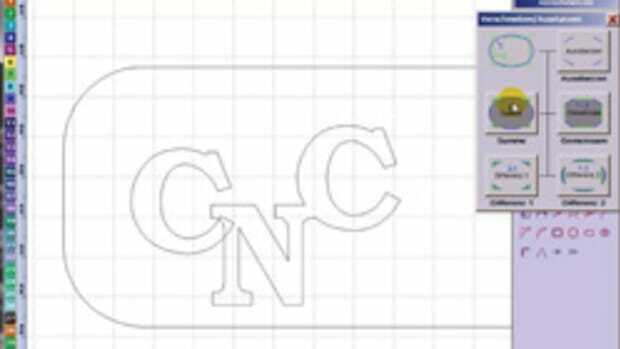 The following is an alphabetical list of what’s happening in the world of CNC software. It’s arranged that way so shops with existing software can more easily locate their product in the text. But the entire list is also a good starting point for shops that are searching for solutions. You won’t find all the answers here, but if anything grabs your attention, the websites for all of the software publishers are included for details. If you’ve been using ArtCAM from Autodesk (Autodesk.com), there’s bad news to report. The company has discontinued it and announced there will not be any further releases or product updates. Customers who have an active ArtCAM subscription can continue to renew until July 7. BobCad-Cam (bobcad.com) released version 30 of its CAD/CAM software just days before AWFS 2017. It includes an easier way to edit and correct when designing, with list boxes that have controls. There’s a new toolpath editor, and a newly enhanced set of selection tools for machining features. Now users can make common adjustments to the cutting geometry without using a CAD tool. And a new multi-depth chamfer cutting feature provides more control over the tool that is used and smoother entries and exits. 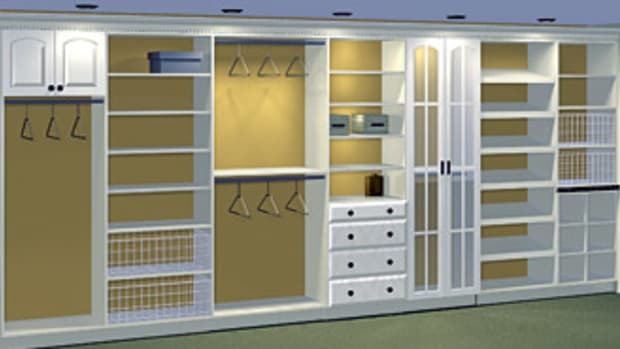 Cabinet Pro publishes three software packages named Cabinet Pro, Door Pro and Simply Powerful. There is a comprehensive selection of introductory videos on the website (cabinetpro.com, click on Demonstration) that introduce the products. CabMaster (cm.cabmastersoftware.com) is based in Melbourne, Australia with support offices in Toronto and California. The company offers a comprehensive suite of CNC software programs including door, design, CNC machining and sign-making packages. EasyWood from DDX (ddxgroup.com) offers true shape nesting, 3D modeling, aggregate management, 3D simulation, collision detection, virtual milling and more. The company also offers PowerWin for window and door machining, and PowerStairs for standard and custom staircases. Enroute 6 (enroutesoftware.com) includes on demand training movies and a new simulation engine that lets a woodworker use wood textures and other types of materials to provide a more realistic view of the finished piece. EnRoute’s simulation of cutting has also been upgraded, so that users can better visualize how the piece will cut. And there’s improved redrawing of contours and toolpaths, which speeds up the drawing and redrawing of contours, toolpaths and meshes. For shops that create lots of toolpaths, it is now faster to pan, switch views, or redraw the drawing. And Component Creator is a tool that creates interlocking components that can be used to create shelves. The Entry Level version of EnRoute now includes explode, layer editing and dynamic nesting. The Basic package now includes 3D Simulation and Dynamic Nesting and the Plus version now has Rapid Texture and ATP Lite for nesting and output at the same time. 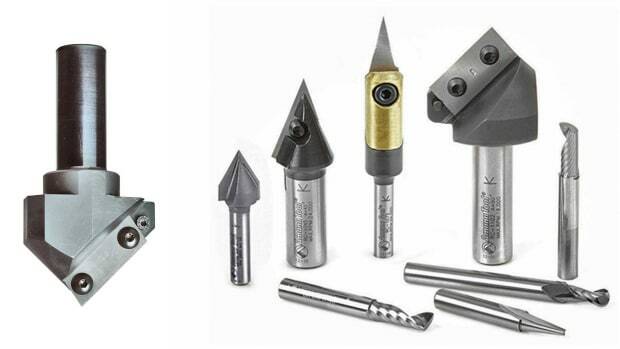 HyperMill from Open Mind Technologies AG (openmind-tech.com) is a CAM program for 2.5-, 3- and 5-axis milling and turning. 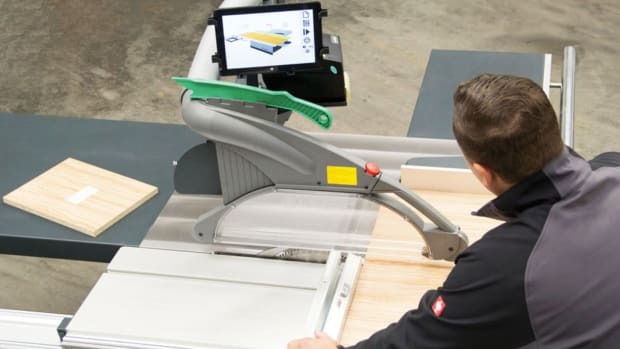 The new release (version 2018.1) is primarily an industrial CAM solution with a focus on metal and plastics, rather than wood, but some woodshops are using it successfully. KCD Software, on the other hand, is specifically tailored to woodworking. The company’s visual interface, One-Button CNC machining, allows a user to go directly from design to CNC, and quickly set tools, measurements and sizes. A simple click in the latest version (10) will optimize the program for use on a touch screen computer PC tablet. That makes design, price and build more mobile. CNC Manager, which is included in KCD’s Commander package, lets a shop run multiple jobs and even individual parts from other jobs together. Version 10 is also integrated with Cabinotch, which simplifies outsourcing. And KCD includes hundreds of MDF cabinet door stiles that most libraries only offer in solid wood. The company’s Doors Plus offers easy and accurate scaling, sizing and modifying, with the ability to go directly to CNC manufacturing with the touch of a button. 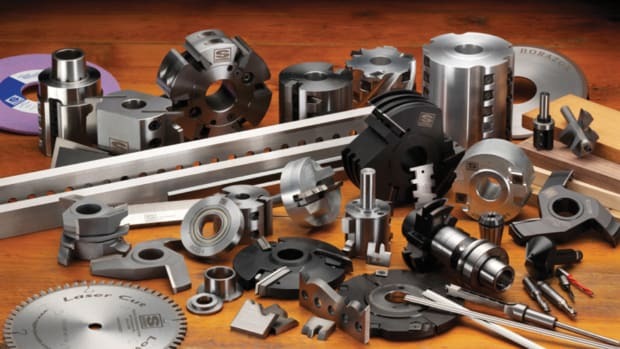 For shops that turn spindles, posts and other column work, Legacy (lwmcnc.com) in has eight instructional videos online for its CCAM4 (Conversational CAM) software. The program specializes in turning between centers, utilizing Legacy’s exclusive 5-axis turning capabilities. 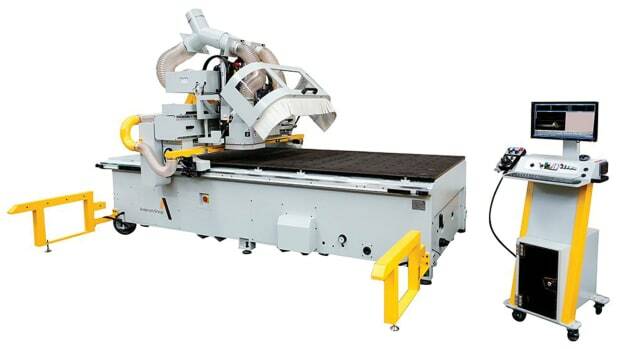 CCAM will generate G-code that treats the fourth axis like a lathe continuously turning the blank, as a surfacing router bit quickly machines the part round. If the part is programmed to have a taper, then the bed is adjusted to position the blank at the proper angle to machine the round part using the same cutter. Mach3 (hobby) and Mach 4 (pro) software from the ArtSoft division of Newfangled Solutions (machsupport.com) are both designed to “turn a typical computer into a CNC machine controller,” according to the company. The software is very rich in features, quite intuitive, and works on most PCs to control the motion of stepper and servo motors by processing G-code. It also allows direct import of DXF, BMP, JPG, and HPGL files through LazyCam. Master 3D from Masterwood (masterwood.com) is available in three different levels that pretty much anything a shop needs to design and build. The two higher levels offer automatic generation of lead in and lead out paths, with graphic modification and 3D simulation. They also have an option to add 3D collision detection. And all three levels offer the option of automatic nesting True Shape, with panel and slab store management and label generation. CNC Software’s Mastercam (mastercam.com) program is now offering a trial of the 2019 Beta version to its current customers. It has new 2D/3D milling features, plus surface and solid modeling improvements that simplify CAD for CAM and deliver greater design and geometry editing tools for shop-floor programmers. MecSoft’s RhinoCam is a software plug-in that is integrated directly inside Rhinoceros 3D CAD software. The company (mecsoft.com) released RhinoCam 2018 for the newly released Rhinoceros 6 product in late February. Users have the option now to choose whether RhinoCam 2018 will run inside Rhinoceros 5 or 6. The plug-in is a machining program that marries Rhino’s freeform modeling with the machining capabilities of VisualCam. Microvellum’s (microvellum.com) latest release of Fluid Designer has a special focus on kitchen, bath and closet design. It provides users with the tools to lay out, render, animate and present interior spaces. From the user interfaces, workflows and products catalogs, Fluid Designer is a customizable solution that is also a great sales tool. The Blender-based software is currently being sold on Microvellum’s website as a one-time purchase, or on a monthly subscription. The company conducts a conference every year for current and potential users. This year’s TechCon event is May 3- 4 in Jacksonville, Ore. and it’s geared for designers who want to participate in software training, peer-to-peer networking, best practices discussions and other activities related to Microvellum Software and the woodworking industry. ShopBot Tools (shopbottools.com) offers VCarve Pro’s ShopBot edition (2D CAD and 2.5D CAM), and Autodesk’s Fusion 360 (full 3D CAD modeling). The former is ideal for woodworkers who are primarily working in sheet goods, want to do V-carvings, or are new to CNC. The latter is better suited to those who are primarily working in solids or blocks, already experienced with CAD, and/or have an engineering background. The company provides free telephone technical support seven days a week and also has a vibrant online community at talkshopbot.com. 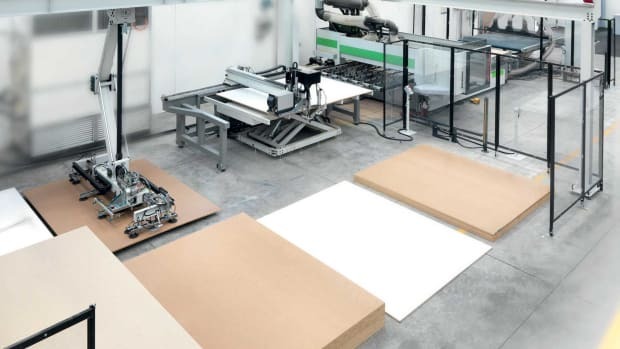 For shops making large architectural elements, SigmaNest (sigmanest.com) is designed to deliver nesting solutions that reduce costly scrap and cutting time. For working with high-end wood products, the program provides a part grouping feature to maintain consistent material grain direction across a sub-set of parts. 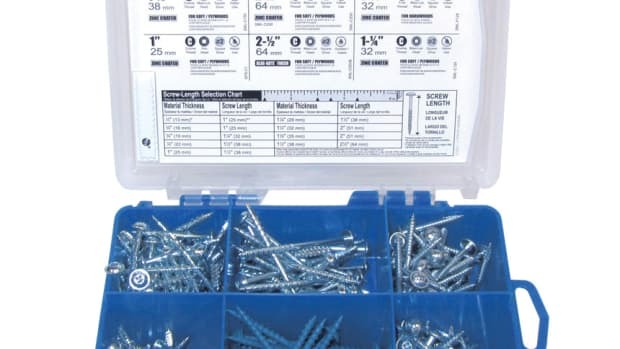 It also offers a multi-drop nesting module that efficiently nests common cut parts in columns, and it supports geometry-based clamps for machines with specially-shaped clamps. SketchUp Pro 2018 (sketchup.com) offers improved management and vector drawing tools. Vectric (vectric.com) publishes VCarve Pro and VCarve Desktop, which is designed more for smaller projects. Both programs provide a powerful and intuitive software solution for cutting parts on a CNC Router. There are tools for 2D design and calculation of 2D and 2.5D toolpaths, along with the ability to import and toolpath a single 3D model (STL, OBJ, SKP etc.). There is also support to import multiple Vectric Clip Art 3D models (V3M) to create advanced 3D assemblies. The software can import 2D designs from other programs but also provides a full set of drawing and editing tools. The toolpath options cover all typical 2D routing operations, and in 3D one can rough and finish the model. There are options to project 2D and 2.5D toolpaths onto the 3D surface. Each toolpath includes appropriate options to customize the settings and provide a high level of control for different types of operation. In addition, all toolpaths can be previewed to show just how the part will look when it is actually cut, and this allows instant feedback so that toolpaths can be further optimized. RSA Solutions (rsasolutions.us) publishes a number of software solutions including WoodCAD/CAM for designing and manufacturing, and Cut Rite for optimizing and nesting. The latest versions will create 2D and 3D drawings that contain all the information needed for manufacturing. They are able to create real time sections and exploded views of products, and add dimensioning automatically with the touch of a button. Keeping up with software, and indeed finding the right programs to take full advantage of advances in machines and other hardware, can be intimidating. Your router’s manufacturer is a good place to start looking for guidance, as are other shops that produce similar work. No one program is going to solve every problem but finding one that’s comfortable and then sticking with it for a while can make the learning process a little more comfortable, and productive. For more about CAD/CAM software providers, visit our online resource guide at www.woodshopnews.com. Shops of all sizes can benefit from an improved floor plan and the addition of material handling equipment. Do we still need to measure twice? 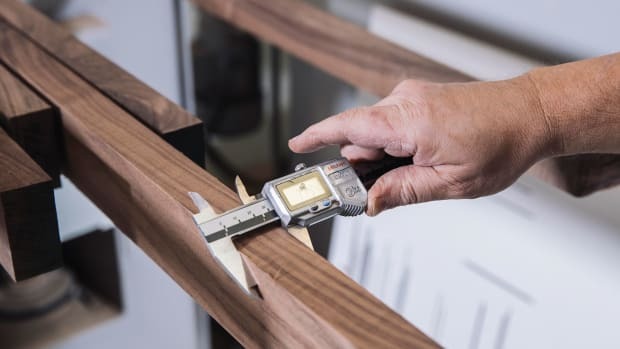 Measuring accurately is a cornerstone of our trade, and the means to do so has evolved quite a bit over the past few years.